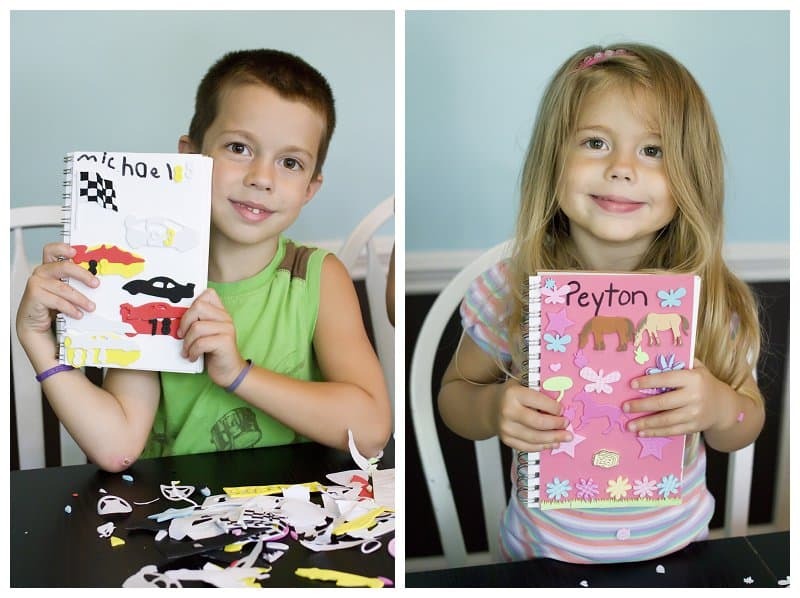 My kids love decorating and personalizing sketchbook journals. 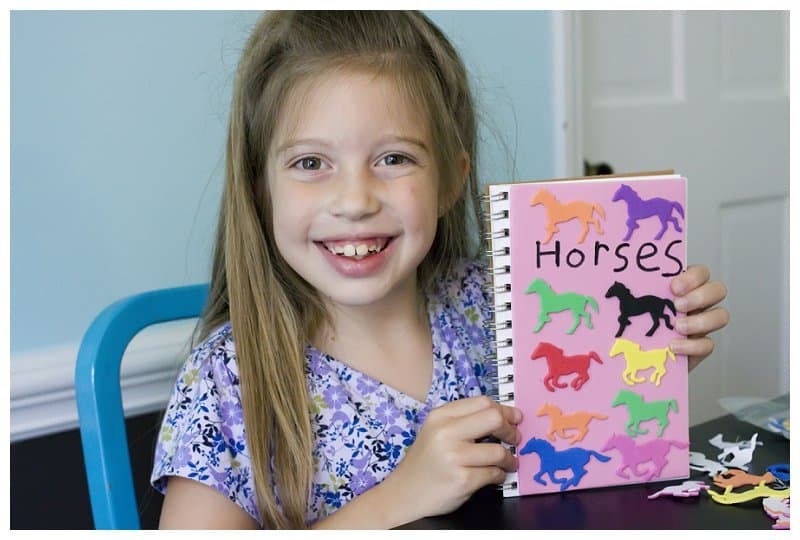 The big girls seem to get their researching gene from me, and love nothing more than a sketchbook for each of their favorite subjects to draw and keep notes in. 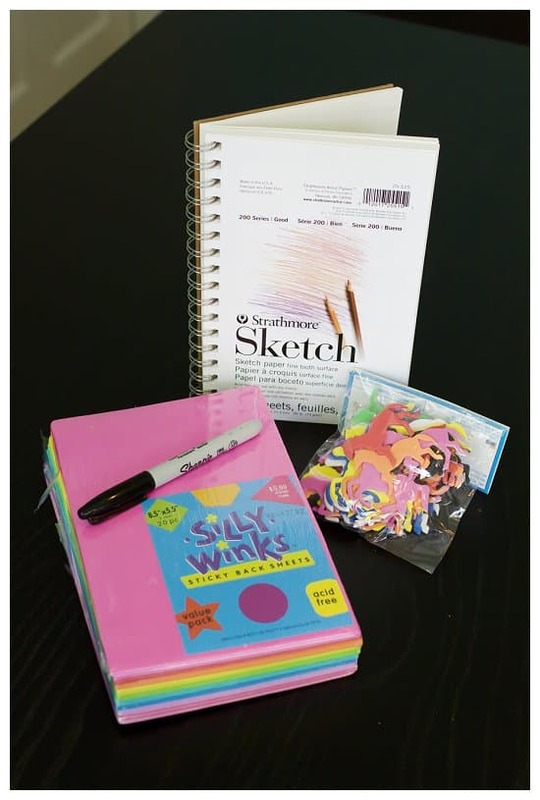 While my kids use these books for research and theme writing, I think these notebooks would be a wonderful craft for a child’s birthday party. With frequent craft stores sales, I was able to get my supplies at 40 and 50% off! The foam pieces are most cost-effective in large buckets, and the sticky foam sheets come in a 20 pack. Perfect for a birthday party or classroom craft. 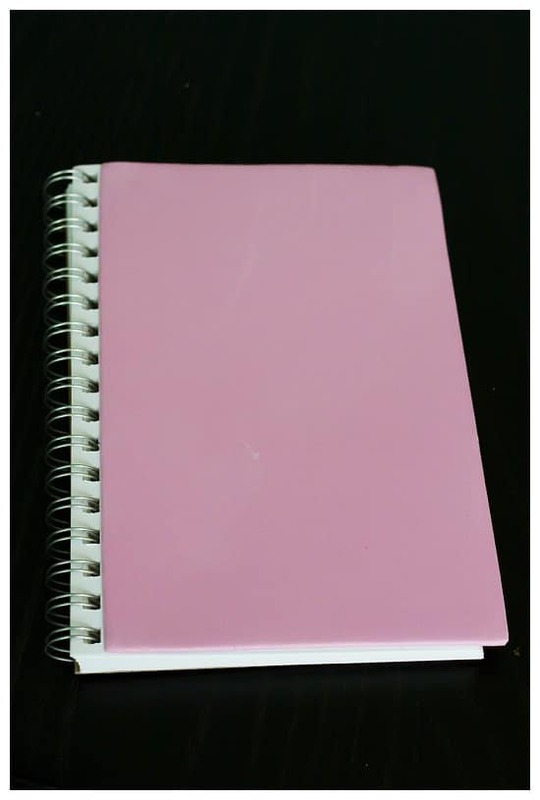 Peel off the backing from the foam sheet and place it on the cover of the sketch notebook. Trim off any excess foam. 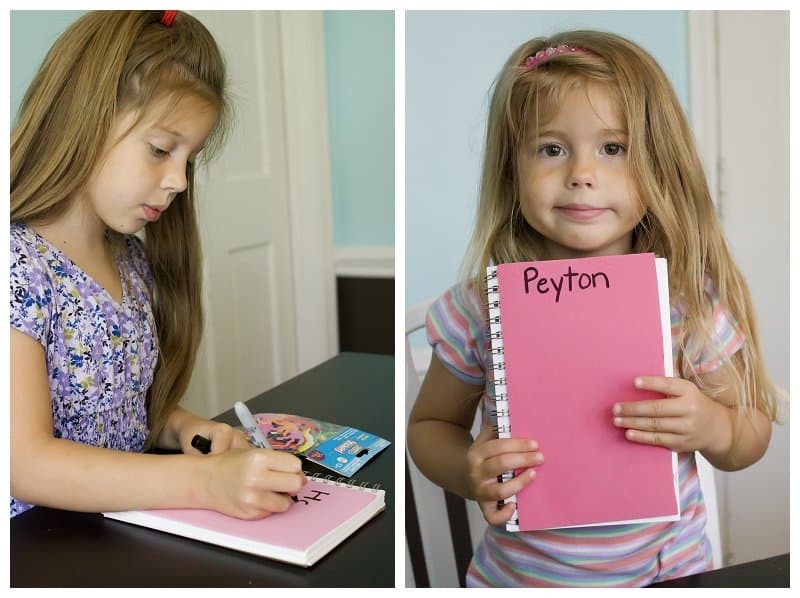 Using the permanent marker, personalize the foam cover with the child’s name, or wording they choose. Make sure to allow the marker to dry for a few minutes so that it doesn’t smear. 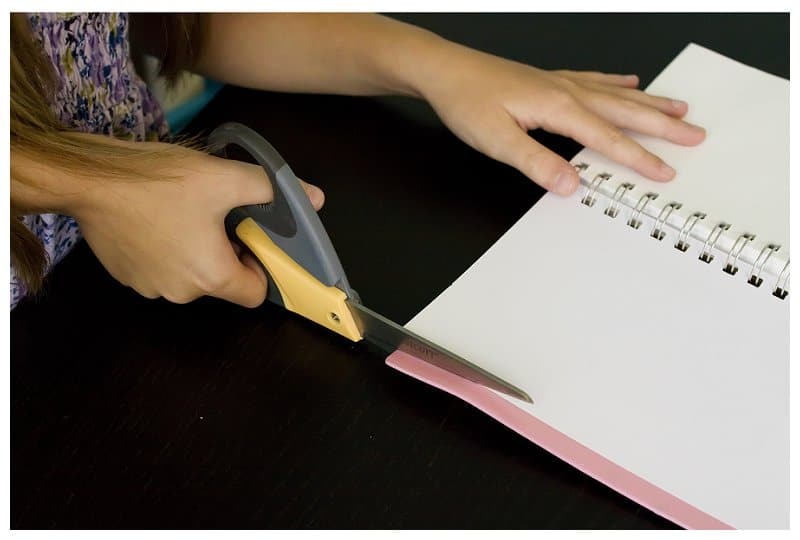 Decorate the cover with foam stickers.